December 1st and Comments for a Cause is on my mind as I think about all of the wonderful causes that we have been able to support on It’s Just Life since April 2011. It has been a pleasure to be able to highlight and make a few donations to some of the wonderful charities and organizations that I have learned about over the years. This past month I highlighted the initiative of the Little Free Library project that was begun after the death of Todd H. Bol who was the founder of the Little Free Library. You can read my post that by clicking here. As you know Little Free Libraries are near and dear to my heart and I am thrilled to share that due to your frequent comments on the blog this month Chris and I will be making a donation of $165 to The Todd H. Bol Vision Fund by clicking here. Thank you to each of you who has left a comment, shared a blog post and encouraged me along the way. This donation is all because of you. So many times I get ideas for my Comments for a Cause recipients from my readers and December is one that my blogger friend Dawn King has made me aware of. Dawn works tirelessly for truck safety in our nation and has been an advocate for years. She serves on the board of CRASH (Citizens for Reliable and Safe Highways) and is also the president of the Truck Safety Coalition. Dawn blogs at Change Is Hard and this link will take you to her latest post about truck safety. It is work a read. CRASH (Citizens for Reliable and Safe Highways) partnered with PATT (Parents Against Tired Truckers) to form the Truck Safety Coalition (TSC). PATT and CRASH are nonprofits. Dawn is on the board of CRASH and also the President of the Truck Safety Coalition. 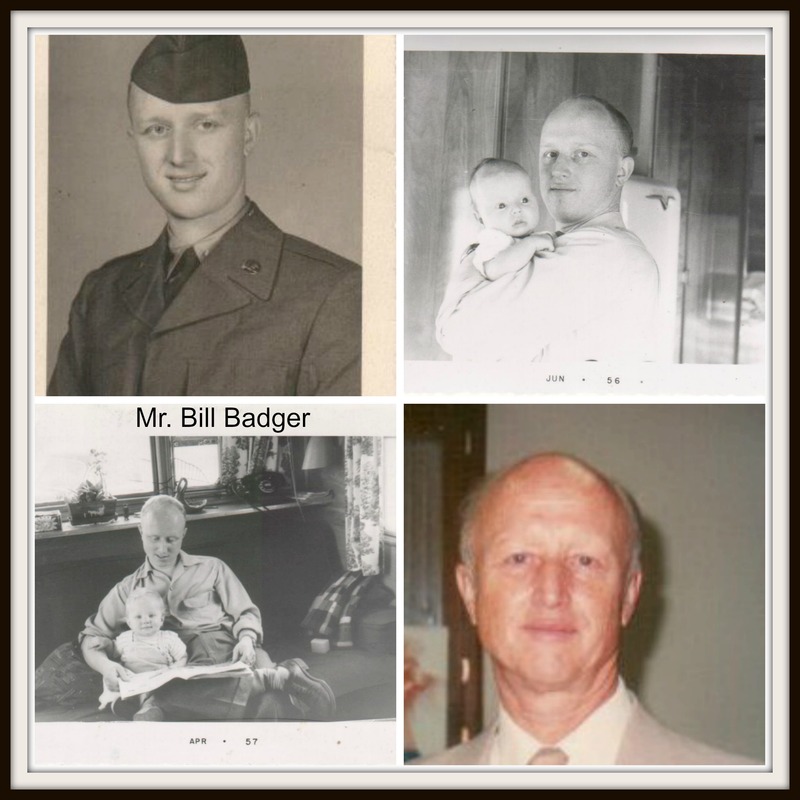 My Dad, Bill Badger, was killed on December 23 while on his way to the Atlanta airport to come north for Christmas. There was a small crash up ahead of him, and he, and most of the rest of traffic had moved to the left, as directed by police already on the scene. The semi behind him never noticed all those emergency vehicles, or the stopped traffic and plowed into dad going 65 miles per hour. Dad was killed instantly. He never had a chance. The semi driver said he had been driving all night (he was over the number of hours allowed to drive) and had fallen asleep at the wheel. Before Dad’s crash we had no idea how often crashes like this happen. Now my family and I work with CRASH to reduce the number of these crashes on our roads. The CRASH Foundation works to educate the public, media, and government officials on important truck safety issues. The organization also provides a compassionate and supportive network for thousands of Americans who have suffered the horror of a truck crash. It gives them the contacts and tools needed to face the overwhelming grief and the myriad of problems that must be addressed to put their lives back in balance. The CRASH Foundation represents the millions of Americans who travel the nation’s highways every day, including truck drivers, motorists, crash survivors and families of truck crash victims. We are dedicated to eliminating the unnecessary deaths and injuries caused by truck crashes. I can’t imagine a better charity to support and for each comment made on the blog during December Chris and I will make a donation of 50 cents (cap of $500) to CRASH to help support their efforts in truck safety. Thank you so much to Dawn for all of her work in creating safer highways for us all. Please connect with the Truck Safety Coalition on their various social media channels below. Their website has a wealth of information and is really well done. Another great comments for a cause. My hubby was along distance truck driver for a time and a motorcyclist now so keeping roads safe is a big deal for us. Thanks so much, Darlene. I know several truckers and I do have a lot of concern for their safety as well as for those who also travel the roads. Things can happen in a flash and it is so good to know that there are people like Dawn who stand up and advocate for safety. Yes, another worthy cause. This is a wonderful thing you and Chris do, Beth Anne. Thanks, Dianna. We are blessed to be able to do this and hope we can continue to highlight great causes for a long time. Well, I love the diversity of causes you support. This is another great one! I love you and thank you for the birthday card! Thanks, Virginia. I do have a wide range, don’t I? You just never know what my cause will be next time! Hope your birthday was fabulous! I agree, another great cause! Thanks, Cindy. I am happy to highlight this one as well. Thank for introducing us to this Cause. We always tell people “safe travels” don’t we, but we or at least I just assume everything will be fine. You are right—we do always say that but don’t really know all the dangers that are out there on our roads. Dawn works tirelessly to promote safety and I am so glad that there are people like her to do that for us. Thanks, Jill! And thanks for stopping by! This is truly a necessary cause. My Dad was also a truck driver for a while. We don’t realize this is almost as big a program as drinking and driving. Great cause again, Beth Ann. Thanks, Shirley. And thanks to your dad for being one of those much needed truck drivers. It is a big program and I am so grateful to Dawn for her part in working to keep us all safer. Thank you Beth Ann, for supporting our work. We appreciate it every time we get exposed to a new audience. It’s important that we educate everyone, those driving trucks and those driving passenger vehicles to be careful on the road. Stay focused, don’t take risks, don’t cut truck drivers off, don’t drive when you’re tired, no matter what size vehicle you’re driving. My family and I thank you all very, very much. We all thank YOU for all that you do to raise awareness and keep us safe on the roads. Distracted driving for any reason can be deadly and educating others on now to drive safely is so important. Thank you! I’m so sorry for Dawn’s loss. Thanks for supporting this nonprofit! Thanks, Jeni. It’s another good one. Dawn’s ability to turn her loss into something that will help others shows great love for her father and a depth of compassion for others. Thank you, Dawn, for your efforts. And thank you, Beth Ann and Chris, for supporting Dawn’s cause and the causes of many others. You two are doing great things with your sharing of information and financial gifts. Thank you. Dawn is amazing. I am so glad we can contribute in a small way. Thank you as always for your support. Thank you very much. I think of it as a way of honoring him. And I know if one of his 4 kids had died in a crash with a semi, and he learned all that was going on, well…he’d have been out there fighting too, giving us a voice. I appreciate your support.